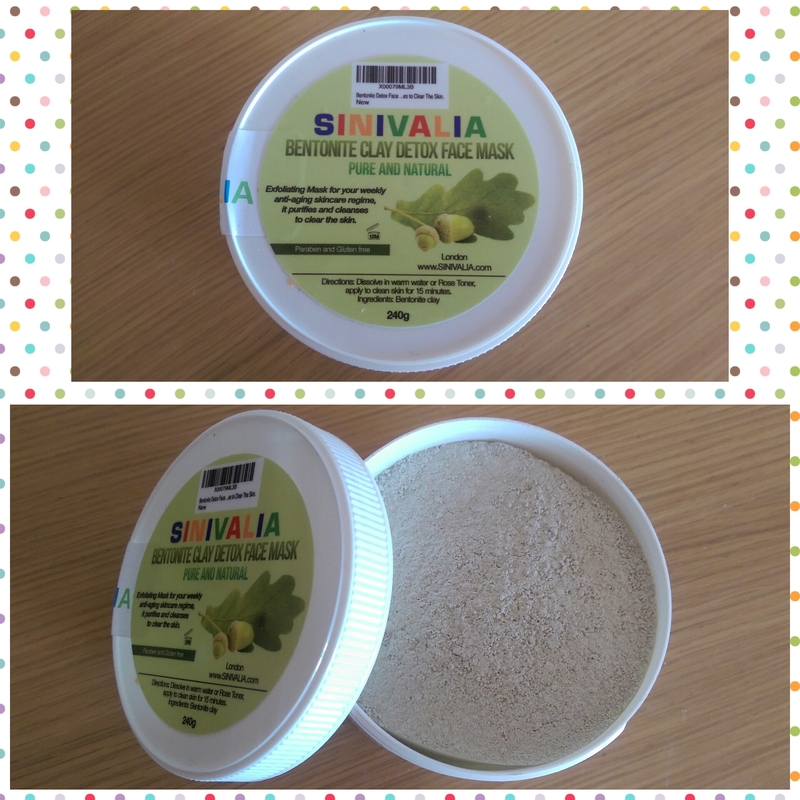 Sinivalia is a London based company that I had the pleasure of receiving several products from to test (see post here for the full list). Their products are cruelty free and made from all natural ingredients – meaning they are also chemical free as well! Bonus! Also they are Vegan friendly. 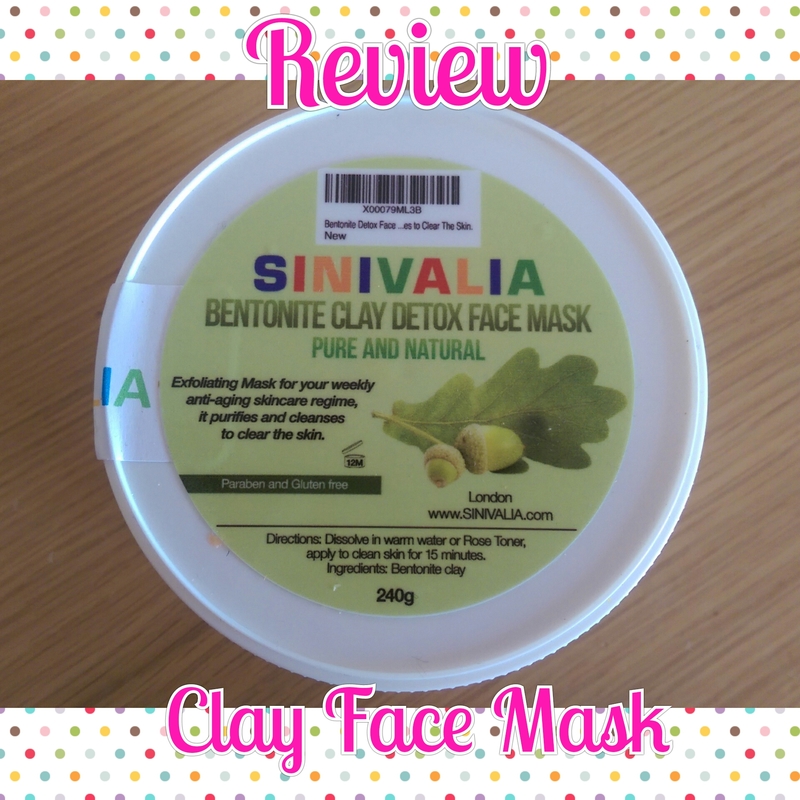 The Bentonite Clay Detox Face Mask comes in a 240g tub, now I am going to be honest I thought it was ready made mask but no it is a huge tub of Clay Powder. Take care opening it up as it pretty much full to the brim – which is great. The only negative thing I have to say is the directions for this are abaismal! Directions: Dissolve in warm water or Rose Toner, apply to clean skin for 15 minutes. 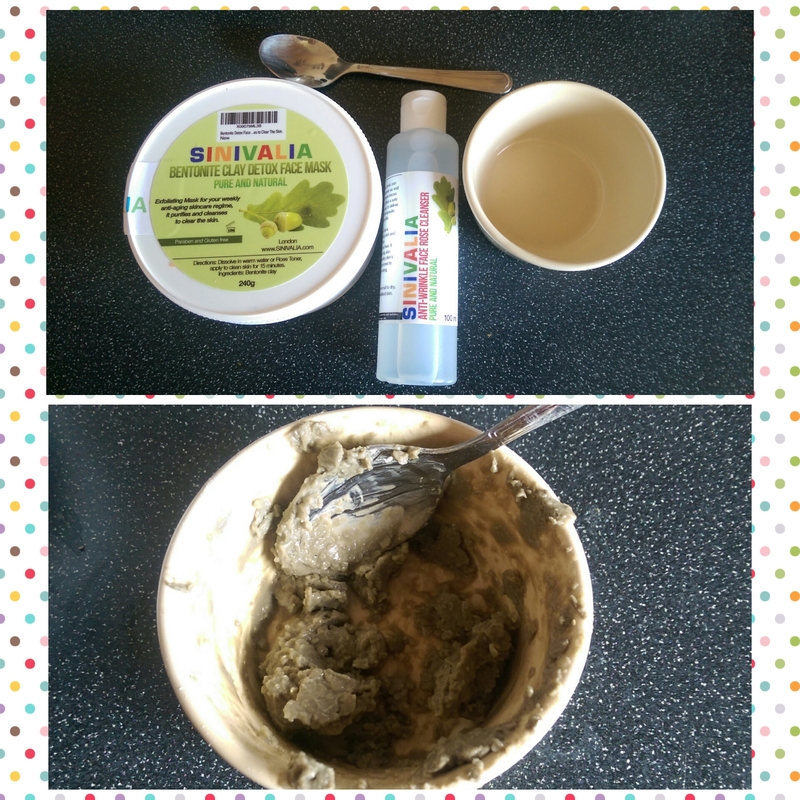 Once I started to mix it up it started to thicken and resemble a thick green sludge! 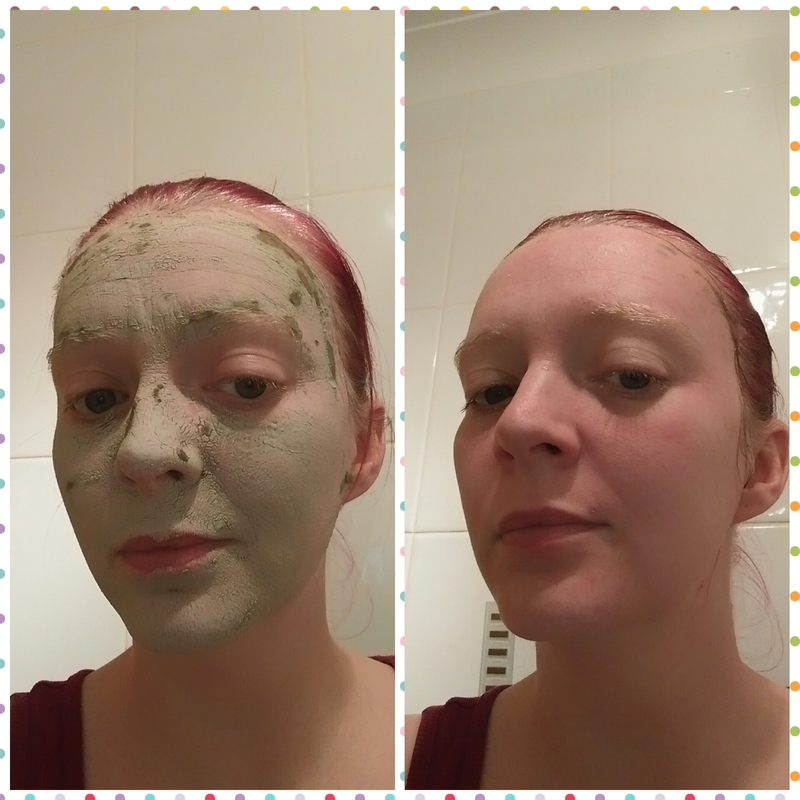 I had to add more Rose Cleanser to it – another 2 teaspoons I think it was and still I wasnt happy but I decided to give it a go anyway. I mixed it with a fork to get as much of the lumps out as I could. When I was applying it to my face it was still quite thick and as you can see some of the thick clumps in the picture below. I basically just applied it with my fingers which personally for me was the best way as I could smooth out the thick lumps. As it dried my skin became tighter and I waited out the full 15 min and the mask had turned white. The part of the thick lumps were still present but I think I maybe could have been doing with leaving it on at least another 10 mins. Once I washed it off with warm water and a muslin cloth I was surprised at how red my face went! But then again I guess that was to be expected at it is a detox mask. 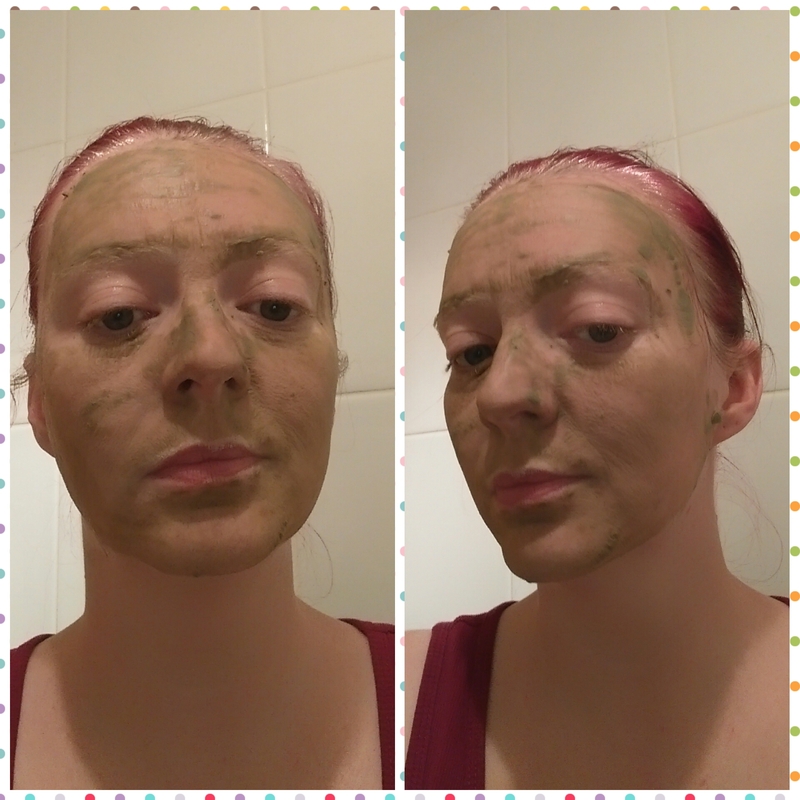 My skin was so soft and smooth after removing the mask, I toned and then applied moisturiser. I have been using this once a week for several weeks now and it is definitely detoxing my face. I have broken my face out in small spots on my forehead and chin but they are clearing up, I will continue to use this once a week as part of me routine to detox my face. ** I would recommend using warm water as your rose toner will run out very fast! !